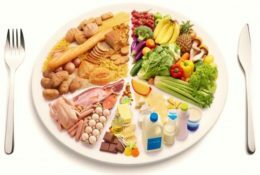 A balanced and healthy diet is essential to prevent diseases (diabetes, cardiopathies, vascular brain problems,…), malnutrition and several alimentary disorders. Unhelathy diets and the lack of physical activity are among the main health hazards. 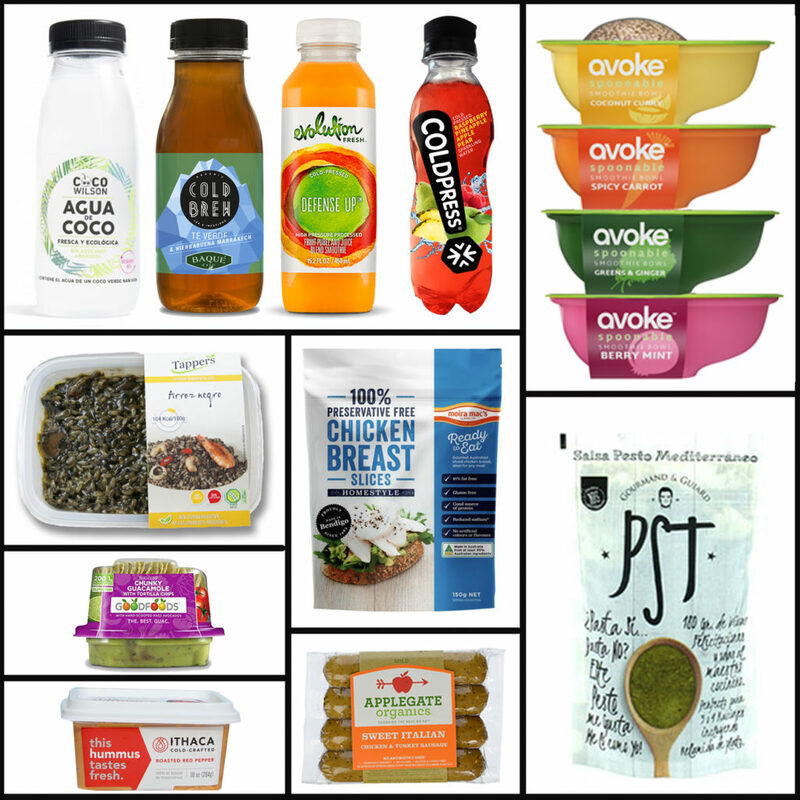 These affirmations are well-known, however, according to the World Health Organization (WHO) “increased production of processed foods, rapid urbanization and changing lifestyles have led to a shift in dietary patterns” with unhealthy foodstuff gaining prominence. People are now consuming more foods high in energy, fats, free sugars and salt/sodium, and many people do not eat enough fruit, vegetables and other dietary fibre such as whole grains. There should be a balance between caloric consumption and intake. To avoid an unhealthy increase of weight, fat should represent less than 30% of total energy intake. It is suggested that the intake of saturated fats should be reduced to less than 10% of total energy intake and trans-fats to less than 1% of total energy intake. For this purpose, these kinds of fat should be replaced for non-saturated fats. An intake up to 5 grams per day helps to avoid hypertension, cardiopathies and vascular brain problems among adult people. In spite of the many improvements that are yet to be done, many public and private entities are working hard at a global scale and are raising the awareness about the importance of a healthy diet. In May 2018, the WHO approved the 13th General Programme of Work (GPW13), which will guide the work for the next few years, focusing on the aspects previously mentioned. They have been working intensively in this matter since 2004 when the “WHO Global Strategy on Diet, Physical Activity and Health” was adopted with the purpose of being a global guideline to support healthy diets and physical activity. They destroy pathogens and spoilage bacteria in food, reducing or even eliminating the usage of preservatives such as salt, widely used to extend the shelf-life of the product. They can be applied to practically all food groups that have a minimum quantity of Aw (water activity) and maintain their nutritional and organoleptic characteristics intact. They extend the shelf-life of food products from few days to weeks or even months, reducing the food waste and promoting a sustainable and healthy diet. They could be applied to already packaged products, or to bulk beverages right before the packaging (Hiperbaric Bulk), avoiding recontamination of delicate products such as seafood or meat, susceptible of Listeria orColi contamination among others. 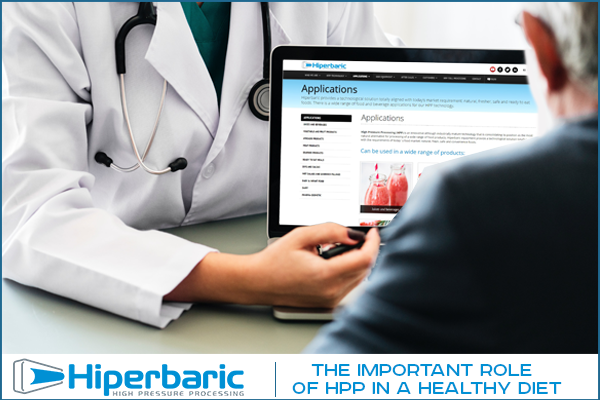 In fact, these are the main reasons why plenty of companies from all over the world has chosen the HPP technology in the food and beverage industry, tollers or catering. The global trend towards healthy diets is a real fact and Hiperbaric will continue to support it both internally and externally. If you want more information about out HPP technology or how it could be applied to your products, do not hesitate to contact us, we will be more than glad to help you.